Student life at IRDM is a busy and vibrant one, both academically and in terms of extra-curricular activities. IRDM has a number of co-curricular activities for the students throughout the year, some organized by the Faculty Centre and some by the students. Different types of tours to places/ Institutes/ Laboratories of interest are regularly arranged for the sake of students. The students also participate in a number of festivals and special occasions throughout the year within and outside the Ramakrishna Mission Ashrama, Narendrapur. Students also participate in different academic & non-academic events including educational exhibitions. Some important festivals / ceremonies / events observed within the Ashrama are: Vidyarthi Brata (for the newly admitted students), Kalpataru Ustav, Swamji’s Birthday Tithi, Shri Shri Ramakrishna’s birthday tithi, Ashrama Foundation Day, Foundation Day of Ramakrishna Mission, Annual Celebration of Ashrama Units, General Celebration (Nara Narayan Seva), Blood Donation Camp, etc. There is a Medical Clinic in the Ashrama where students can get medical advice and treatment at nominal charges. Every student should wear dress as per the prescribed uniform. No student will be allowed to absent himself/herself from the faculty centre without valid reason. Application for leave should be made beforehand to the Dean of Faculty. In the case of leave application due to illness expending over more than three days, the Dean may ask for the production of a medical certificate. Any student absenting himself/herself without permission for any one hour the day during class hours will be regarded as absent for the whole day. 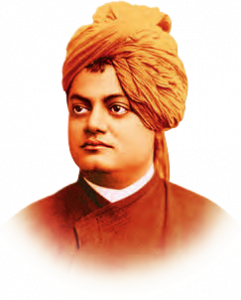 Ramakrishna Mission being a nonpolitical body devoted to selfless service irrespective of any other consideration, the students should strictly refrain from any political activity in the campus. The Dean of the Faculty may impose the following punishments, on students if they violate any rules, in the interest of the students and the institution like fines, cancellation of attendance, withholding of certificates, suspension and expulsion.